Best 420 Friendly Beaches in California That You Should Visit. The tour of California beaches you’ve been planning with a modest stash in tow is now possible. Our list of 7 best bets is a drop in the ocean, but it should get you started, whether or not you intend to indulge or just get high on the sun. Remember, cannabis consumption is illegal in public and can carry a fine. So if you must blaze out on the beach, do it discreetly or vape. You could hide out on this beach for a long time if you’ve brought enough food and cannabis for an extended stay because you can’t see this quiet beach from Highway 1 and in fact, not many people know it exists. As part of the Hearst San Simeon State Park system, this beach isn’t easy to reach. You’ll have to schlep your stuff along a narrow trail to access it but since you’ll likely have this beach all to yourself, why wouldn’t you make every effort to find your way to this magical place? Red blankets and matador suits aren’t required because you won’t find any bulls at El Matador Beach. 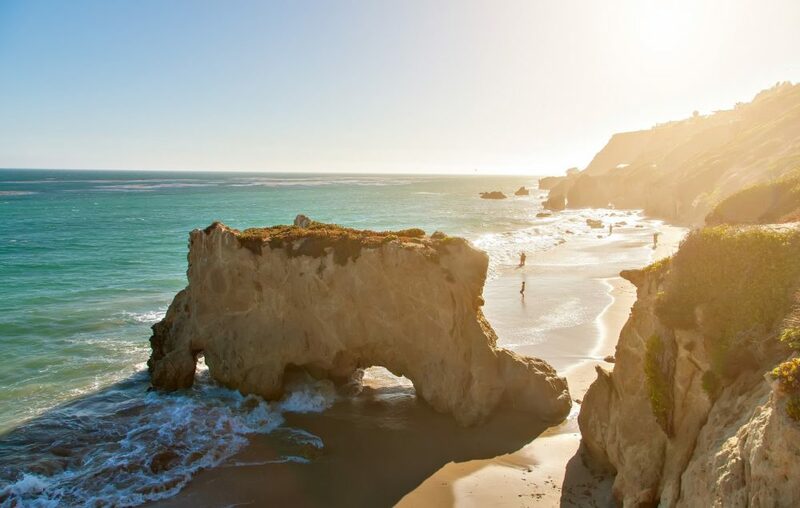 High up on the list of southern California’s most romantic beaches, you’ll be able to explore hidden coves and inlets that keep things as private as you like them. This relaxing stretch of Malibu beachfront feels like a million years away from Los Angeles, but you can get there fast if you go early enough in the morning to beat traffic. Bring some food and book and a blanket. Remember: red is optional! You can find some smoking rooms near by too. Not far from Klamath in Del Norte County is the aptly-named Hidden Beach. A dramatic tree-covered hillside obscures this slice of heaven from view, but you will be rewarded big time if you make an effort to find it. Put on hiking boots and bring your backpack of necessities to start your journey at any of three points: The Trees of Mystery tourist attraction on highway 101; the Yurok Loop Trail at Lagoon Creek Beach or the Klamath River Overlook. This beach isn’t clothing optional, but you may not care once you discover what’s waiting for you! It’s small but mighty—a super spot for diving and snorkeling. Lofty sandstone cliffs give LaJolla Beach a sense of intimacy you won’t find at locations filled with sun worshipers. 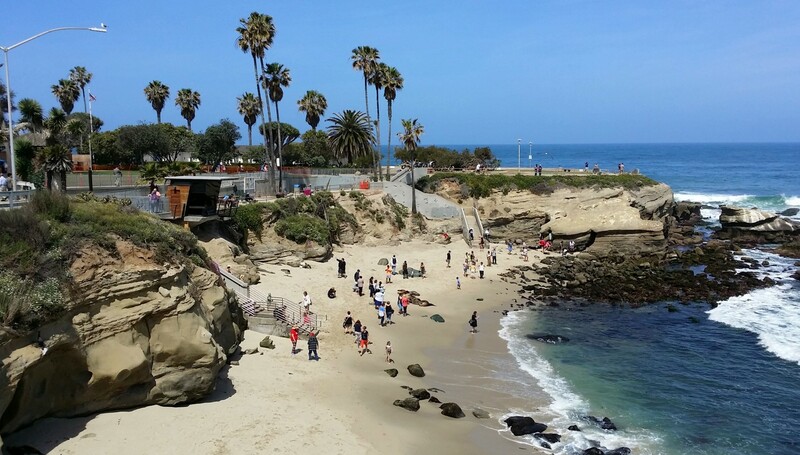 Wildlife along the shore is under the protection of the San Diego La Jolla Underwater Park Ecological Reserve, so if you encounter marine critters during your visit, you could be arrested if you offer them a toke. Otherwise, this sleepy little beach has gorgeous vistas, so if you’re into photography, a camera is must-pack equipment along with sustenance and your grass. Another one of the best 420 friendly beaches in California, dubbed the best hidden beach in California, this secluded place is awash in rocks and sea stacks that help make this Trinidad, California’s best kept secret. A visit to Martin Creek is worth the daunting hike required to find it. Start at the stone and bronze plaque that points the way along Stagecoach Road, north of Trinidad. Owned by a local land trust, this beach is sacred to community members, so when you visit, thank them for this idyllic hideaway where you can decompress and thank the green gods for their gifts. It’s on the west side of Point Dume in Malibu, but if you don’t know exactly where you’re going, it could be hard to find this hidden beach best known for filming Planet of the Apes in 1968. Access the entrance from the southern end of Westward Beach, being careful when you encounter high rock walls and boulders. The reason this beach gets so few visitors has to do with unusually high tides, so watch your step. No pirates in sight? Give it some time! You may think you’ve found Nirvana at the remote Sculptured Beach, located along the southern portion of the Point Reyes National Seashore. Known for artistically-shaped rocks that stretch from beach to water, time your visit for low tide, because that’s when hidden tide pools are revealed. Wander arches, caves and other enclaves and explore steep bluffs that hide Sculptured Beach from view—a good thing since this is a clothing-optional beach. That’s why you’ll need a clever way to carry your stash if you decide to take it all off during your visit. This cannabis friendly beach is nice and private.